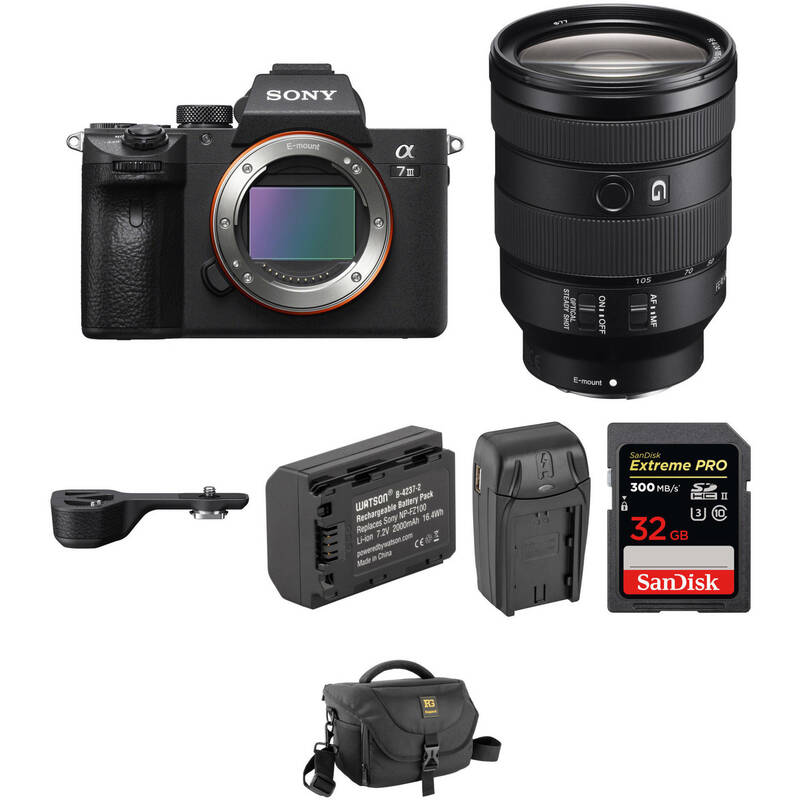 Comprising the essential components needed to begin shooting, the Sony Alpha a7 III Mirrorless Digital Camera with 24-105mm Lens and Grip Extension Kit from Sony bundles the versatile full-frame mirrorless body and FE 24-105mm f/4 G OSS lens with the GP-X1EM Grip Extension, a spare rechargeable lithium-ion battery, an external battery charger, and a memory card. Improve the comfort and stability of your a9, a7 II, or a7 III series camera with the GP-X1EM Grip Extension from Sony. It mounts to the camera's tripod socket and provides a larger and taller grip for a more ergonomic shooting setup. Additionally, it has durable aluminum construction. Box Dimensions (LxWxH) 4.8 x 4.7 x 1.5"
Box Dimensions (LxWxH) 8.0 x 4.6 x 3.9"
Box Dimensions (LxWxH) 5.2 x 2.9 x 1.4"
Alpha a7 III Mirrorless Digital Camera with 24-105mm Lens and Grip Extension Kit is rated 4.6 out of 5 by 405.